If you are a native of Kzoo, or once walked it's inspired streets, then this print is for you! 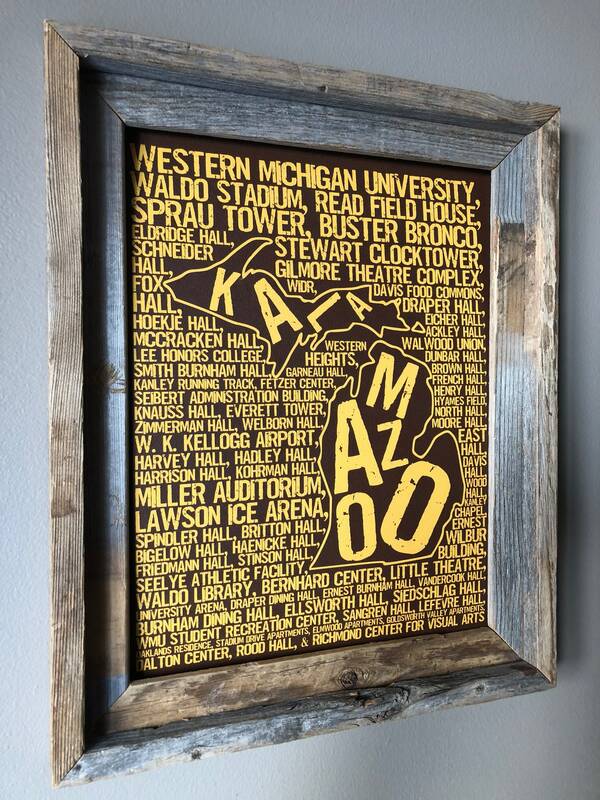 This print has got it all, from Waldo Stadium to Miller Auditorium and beyond. Yes...your dorm is probably on there. 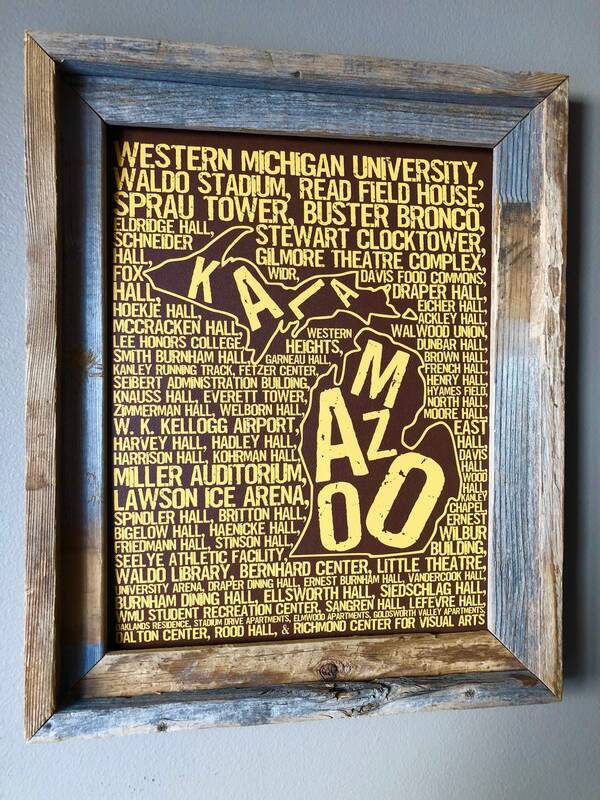 It's a perfect addition to anyone who embraces the historic college pride that is Kalamazoo! 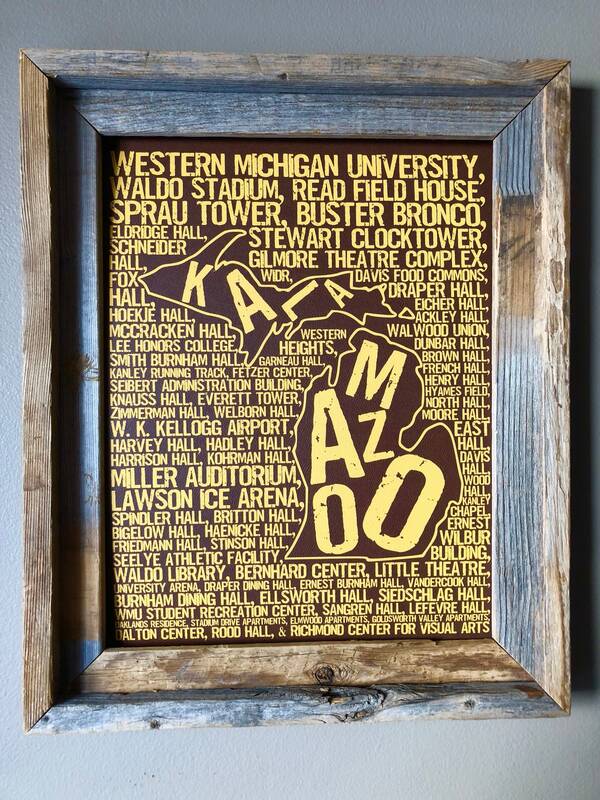 All your favorite places get a nod in this great brown and gold 11x14 print of the Kalamazoo college experience!